Older adults are especially prone to bladder conditions that trigger inflammation, discomfort, and urination problems. A swollen or an inflamed bladder can cause a host of unwanted symptoms, from abdominal and pelvic pressure and pain to frequent urination and accidental leakage of urine. One common condition is interstitial cystitis (IC)—also identified as a chronic inflamed bladder. In this article, we will guide you through a number of interstitial cystitis natural treatment methods, many of which you can try at home. Interstitial cystitis is also called chronic pelvic pain, bladder pain syndrome, and painful bladder syndrome, and it affects more than 12 million people in the U.S. Although women are most likely to develop IC, men and even children are also at risk. What is the best natural treatment for interstitial cystitis? Some effective remedies may include training your bladder, making dietary changes, quitting smoking, managing stress, pelvic floor physical therapy, acupuncture, and more. In this section, we will take a deeper look at the types of inflamed bladder natural treatments available that could help either treat or prevent a flare-up, which can seriously impinge on your quality of life. Stress is a common trigger of interstitial cystitis symptoms, potentially worsening pain and inflammation. Animal studies show that psychological stress can activate over 70% of bladder mast cells within 30 minutes, and this can play a role in interstitial cystitis. A study published in the journal Medical Social Sciences in 2001 found that stress levels, pain, and the urgency to urinate were greater in interstitial cystitis patients than in the healthy controls. 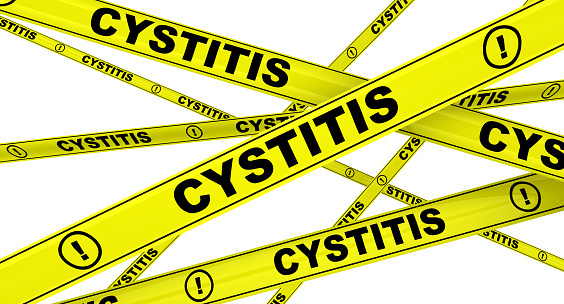 The link between stress and interstitial cystitis symptoms increased with the severity of interstitial cystitis. Acupuncture is a type of treatment that involves inserting needles at specific points on the body. It is used to relieve pain, rebalance the flow of energy, and treat a wide range of conditions, such as interstitial cystitis. Research shows that acupuncture is helpful for stress, chronic pain, and emotional problems like depression and anxiety. A study published in the Journal of Wound, Ostomy, and Continence Nursing in 2014 found that electro-acupuncture could help treat urinary incontinence, while modulating the emptying and storage functions of the bladder. Electro-acupuncture was applied at the acupoints spleen-6 (SP-6), stomach-36 (ST-36), bladder-32 (BL-32), and bladder-35 (BL-35). Electro-acupuncture is similar to traditional acupuncture; however, the needles are attached to a device that produces frequent electric pulses with small clips. The advantage of electro-acupuncture is that a practitioner is not required to be precise with needle insertion since the current delivered will stimulate a much larger area than the needles do. Consult a qualified acupuncturist for electro-acupuncture or traditional acupuncture treatment. A similar technique to electro-acupuncture is called transcutaneous electrical nerve stimulation (TENS). With TENS, electrodes are taped to the surface of the skin rather than being inserted like electro-acupuncture needles. TENS is used in people who have a condition that prohibits them from being needled, or who have a fear of being needled. The mild electrical pulses of TENS are delivered through the skin to stimulate the nerves of the bladder. TENS is also useful for alleviating interstitial cystitis symptoms by strengthening the pelvic muscles that help control your bladder, increasing blood flow to the bladder, and releasing substances known to block pain. A study published in the Journal of Mid-Life Health in 2017 found that TENS effectively and safely treated interstitial cystitis or chronic pelvic pain. The toxic chemicals in cigarettes can worsen interstitial cystitis symptoms and further irritate your bladder. This can increase the risk of urinary tract infections (UTIs), which can also worsen symptoms and make treatment quite difficult. Research published in the International Urogynecology Journal and Pelvic Floor Dysfunction in 2006 suggests that smokers had a 2.3 times increased risk of developing interstitial cystitis symptoms. How can you quit smoking naturally? It is a good idea to consult a counselor or join an online program that specializes in smoking cessation. You can also try hypnosis, guided imagery, mindfulness meditation, yoga, tai chi, regular exercise, or lime juice. A physical therapist can also help you strengthen and stretch your pelvic floor muscles, because performing the wrong exercises can actually worsen your interstitial cystitis symptoms. When you overstimulate an already tense pelvic muscle, this can lead to more tension and aggravate bladder symptoms. A study published in the Journal of Urology in 2001 found that pelvic floor manual therapy reduced pelvic pressure and the urge and frequency of urination in interstitial cystitis patients. Another study published in the Journal of Urology, in 2012, found that 10 myofascial physical therapy treatment sessions significantly reduced pain, urgency, and frequency of urination in 59% of women with interstitial cystitis. Myofasical release is a technique used by physical therapists to alleviate pain in the myofascial tissues along the pelvic floor. Ask your doctor to recommend a physical therapist that specializes in pelvic floor problems like interstitial cystitis. In addition, the physical therapist can teach you how to stretch your pelvic floor muscles and keep them relaxed. You can also reduce urine urgency and improve bladder control at home with pelvic floor exercises called Kegels. Before you perform this exercise, you must find your Kegel muscles, which stop urine flow during urination. Frequent urination is a common symptom of interstitial cystitis. As a result, patients often restrict their fluid intake to reduce their urge to urinate. Drinking less water is not the solution, however. Drinking enough clean, filtered water is essential for diluting the toxins and irritants in your urine. Getting enough water also helps interstitial cystitis patients decrease inflammation, flush the bladder, and reduce the acidity of their urine. Water can also relieve constipation—a potential trigger of interstitial cystitis. Rather than drinking a glass or two of water at a time and immediately having to go to the bathroom, try sipping on your water throughout the day to reduce your frequency and urgency of urination. Besides water, other good fluids to consume include homemade soups, bone broths, and freshly squeezed fruit and vegetable juices. Baking soda (sodium bicarbonate) is another effective remedy for an inflamed bladder. This is because baking soda helps decrease the body’s level of acidity, which reduces burning and other interstitial cystitis symptoms. Baking soda can also lower the risk of UTIs. A study published in the journal Reviews in Urology in 2002 reported that both baking soda and potassium citrate are effective in the treatment of interstitial cystitis. How do you use baking soda for interstitial cystitis? Simply combine a teaspoon of baking soda with a glass of filtered water. Consume this drink two to three times daily. Another simple and effective treatment is applying a hot compress to your bladder. This can reduce bladder swelling—a common interstitial cystitis symptom. Your doctor may also recommend the combination of cold and hot packs on your abdomen to provide relief from pain and inflammation. But a hot compress is used specifically to reduce muscle spasms. For this, wrap a thin cloth around a hot water bag, and apply it to your pelvic floor muscles for a five-minute period. After a five-minute break, reapply the hot water bag for another five minutes. Repeat this two or three times per day, or whenever you feel pain around your pelvic floor or bladder. Apple cider vinegar (ACV) is made from the fermenting of apple cider. ACV is another great home remedy for your bladder. Not only does it improve bladder function, but it also helps remove toxins from the body. Additionally, it keeps the pH levels in your body well balanced. Apple cider vinegar consumption also prevents the growth of bacteria, which can cause UTIs. Although acidic, research indicates ACV can still alleviate interstitial cystitis symptoms. A study published in the journal Explore in 2013 reported that dietary changes like taking ACV before meals helped alleviate symptoms of interstitial cystitis. How do you use ACV? Simply add one to two teaspoons of raw and unfiltered ACV to a glass of filtered water. Also add some raw honey, if desired. Consume twice daily until symptoms improve. Another one of the better home remedies for an inflamed bladder is turmeric (Curcuma longa). This is because turmeric contains analgesic, antimicrobial, and anti-inflammatory properties that help decrease the risk of UTIs. The active ingredient in turmeric is curcumin. To help treat or prevent interstitial cystitis, turmeric can be added to tea, eggs, soup, and other dishes. Turmeric or curucmin supplements can also be used. Consult your naturopathic doctor for the best dosage for your condition. Catechins within this famousherbal remedy could protect bladder cells from inflammation. It has been proven in studies that have exposed cells to a damaging acid. Forget the actual tea here; you need the supplements to deliver the dose of catechins needed for this effect. People with inflamed bladder symptoms must train themselves by setting bathroom trips according to the time rather than waiting until they need to go. Start off every half-hour regardless of whether you feel the urge. Slowly lengthen that time period. Some deep breathing and other relaxation methods could also help cut urinary frequency. This flavonoid chemical is believed to be an anti-inflammatory (among other things) and has been found to reduce IC symptoms. This is an amino acid your body uses to produce nitric oxide. This is something that relaxes smooth muscles. Based on the idea that it could do so in your bladder, arginine is considered a potential IC therapy. These are natural substances, polysaccharides, which are a family of carbohydrates. It’s possible that the bladder’s surface doesn’t have enough of these substances in cases of IC. This deficiency could, the thinking goes, be a reason why the bladder has become inflamed, and could be a potential reason for autoimmune problems. An inflamed bladder can cause a number of troublesome symptoms, including abdominal and pelvic pressure, accidental leakage of urine, frequent urination, the urge to urinate, and burning or pain upon urination. You are also at risk for anxiety, depression, and emotional stress. Thankfully interstitial cystitis natural treatment can help relieve your symptoms. For instance, you can train your bladder; make positive dietary changes; manage your stress; drink more water; or try pelvic floor physical therapy, acupuncture, or other mind-body relaxation techniques. Inflamed bladder home remedies also include arginine, quercetin, green tea, turmeric, baking soda, apple cider vinegar, and hot compresses. Relief with natural treatment for interstitial cystitis is possible. It is a good idea to consult a natural practitioner like a holistic nutritionist or naturopathic doctor for further guidance in the treatment of interstitial cystitis and bladder problems. Weiss, J., “Pelvic Floor Myofascial Trigger Points: Manual Therapy for Interstitial Cystitis and the Urgency-Frequency Syndrome,” The Journal of Urology, Dec. 2001; 166(6): 2226-2231, doi: 10.1016/S0022-5347(05)65539-5. Drent, D., “Bladder pain syndrome/interstitial cystitis,” Continuing Medical Education; https://uro.co.nz/articles/Bladder%20Pain%20Syndrome%20-%20Interstitial%20Cystitis%20(NZFP,%20Feb%202008).pdf, last accessed September 13, 2018. Spanos, C., et al., “Stress-induced bladder mast cell activation: implications for interstitial cystitis,” Journal of Urology, February 1997; 157(2): 669-672, PMID: 8996395. Rothrock, N., et al., “Stress and symptoms in patients with interstitial cystitis: A life stress model,” Medical Social Sciences, March 2001; 57(3): 422-427, doi: 10.1016/S0090-4295(00)00988-2. Jin, C., et al., “Effect of electro-acupuncture combined with tolterodine on treating female mixed urinary incontinence,” Journal of Wound, Ostomy, and Continence Nursing, May to June 2014; 41(3): 268-272, doi: 10.097/WON.00000000000025. “Electroacupuncture,” Acupuncture Today; https://www.acupuncturetoday.com/abc/electroacupuncture.php, last accessed September 13, 2018. Sharma, N., et al., “Efficacy of transcutaneous electrical nerve stimulation in the treatment of chronic pelvic pain,” Journal of Mid-Life Health, Jan. to Mar. 2017; 8(1): 36-39, doi: 10.4103/jmh.JMH_60_16. Kennedy, C., et al., “Risk factors for painful bladder syndrome in women seeking gynecologic care,” International Urogynecology Journal and Pelvic Floor Dysfunction, 2006, 17: 1, 73-78, doi: 10.1007/s00192-005-1348-8. FitzGerald, M., et al., “Randomized multicenter clinical trial of myofascial physical therapy in women with interstitial cystitis/painful bladder syndrome and pelvic floor tenderness,” The Journal of Urology, June 2012; 187(6): 2113-2118, doi: 10.1016/j.juro.2012.01.123. Whitmore, K., “Complementary and alternative therapies as treatment approaches for interstitial cystitis,” Reviews in Urology, 2002; 4 Suppl 1:S28-S35, PMID: 16986031. Dunlap, C., et al., “An Integrative Approach to Interstitial Cystitis,” Explore, The Journal of Science and Healing, Jan. to Feb. 2013; 9(1): 48-52, doi: 10.1016/j.explore.2012.10.004.